Tracehook intercepts data from any service with ease. 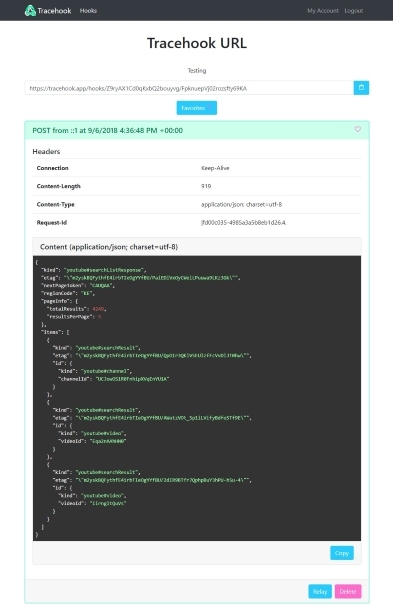 Start collecting data from webhooks and servers with just a few clicks. Signing up is just an email and a password. Copy the URL and use it with any service that can POST. Anything POSTed to the URL will be saved and can be retrieved at anytime. Tracehook will make it dead simple to view your data and act on it. Get going in less than a minute by signing up and pasting your URL into any service.